The solid oak frame of the #90 Wood Frame Chair provides the warmth of wood appreciated by many churches today. 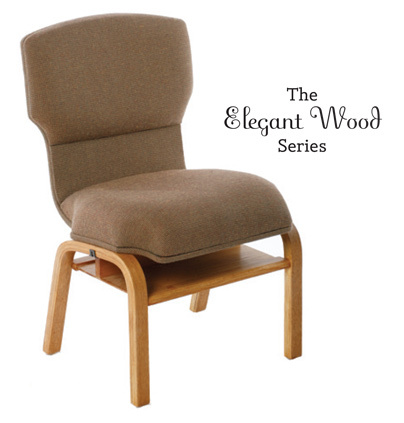 Replacing old pews or new construction, this wood chair has comfort and elegance that will be remembered for years. The one-piece seat and back is designed for the utmost in comfort and offers a slight flex that makes this chair more comfortable than any pew could ever be!